Slooooooow news week. 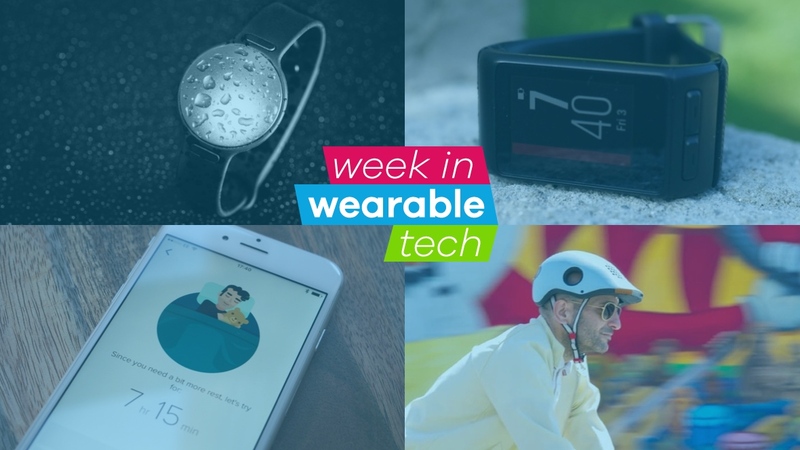 Not in the real world, of course, where Brexit and gun control protests dominated the headlines but in the world of wearable tech. However, it didn't grind to a complete halt - there were still a few interesting stories that caught our eye. Read on for a comprehensive roundup of everything we reported on in the last seven days. Is this our first look at the Gear S2 successor? These overexposed images apparently show off a very luxurious looking Gear S3. And so the rumour mill begins. Whether they're fake or not, there's not much to see anyway - the overexposed images show a round smartwatch with a metal bracelet and fluted bezel which looks very Rolex-y. The Samsung Gear S2 is rated as our top smartwatch at the moment - can the S3 impress as much? Speedo and Misfit's second generation tracker, announced this week, tracks laps and lengths in the pool. And the new swimming software is coming to the Misfit Shine 2 and Ray too. Like the original Speedo Shine, it's essentially a Misfit Shine 2 fitness tracker laden with extra swimming orientated algorithms developed by the apparel giant. In it first big move to make more sense of your tracking data, Fitbit's new Sleep Schedule feature now makes suggestions on how much time you should spend in bed. Fitbit might be the leader of the fitness tracker pack, but at Wareable we think that there's still room for improvement on the sleep front - so it's welcome news. A new report from by Technavio states the fastest growing segment in the running gear market is fitness trackers. It's a staggering claim considering the demand for decent running shoes and clothing. The report says: "Running has gained acceptance as the best form of exercise that enhances physical fitness among all the age groups. Moreover, with the rise in obesity rates across the globe, the consumers are becoming increasingly conscious and are taking up running for their fitness. In fact, the market for fitness trackers is expected to grow at such a fast rate that its sales revenue is expected to grow almost three times by 2020." We've just reviewed the Samsung Gear Fit2 and updated our best fitness tracker guide - make sure you check them out. This connected cycling helmet follows in the footsteps of Lumos and Livall making that ride to and from work a much safer one. Boasting cameras front and back to scan your environment, the Classon is able to detect cars approaching your blind spot and notify the rider by a blinking light on the visor. The Kickstarter campaign get the Classon smart cycling helmet in production is now live and is aiming to raise $30,000.